Sorry, This Monsoon Lounge Location Has Been Reported Closed. 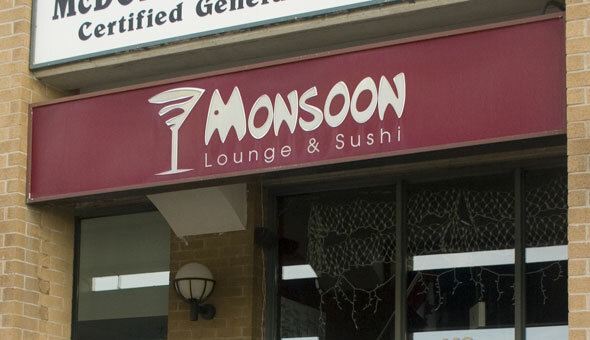 Monsoon Lounge & Sushi is located at 140 Dunlop St. E. near Mulcaster St. in downtown Barrie. It features a pristine view of Kempenfelt Bay. Monsoon's focus is on an overall experience so enjoy a martini from one of their 100 expertly executed martinis in the comfortable lounge seating. Monsoon takes great pride as being one of Barrie's unique dining experiences.